Officials say a drone came within about 200 feet of a commercial airliner as it approached Los Angeles International Airport. LOS ANGELES (AP) — A drone came within 200 feet of hitting a Lufthansa jet near Los Angeles International Airport on Friday — the latest run-in between aircraft and the increasingly popular unmanned flyers. 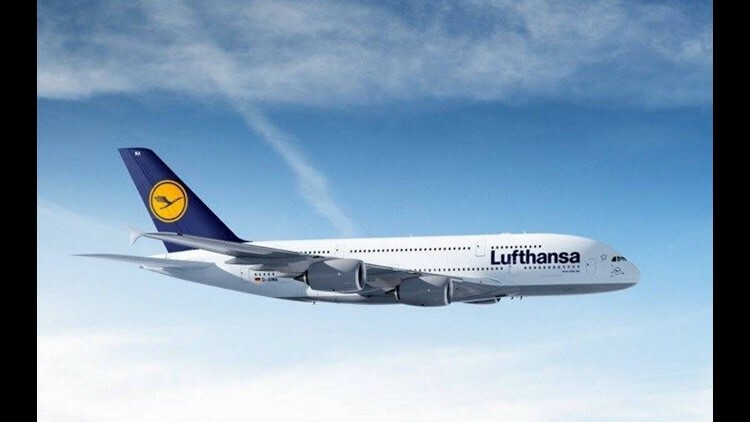 The pilot of a Lufthansa A380 approaching the airport reported that a drone passed about overhead around 1:30 p.m., said Ian Gregor, spokesman for the Federal Aviation Administration. The plane was flying at 5,000 feet and was about 14 miles east of the runway. It landed safely. Police and Los Angeles County sheriff's helicopters were asked to keep an eye out for the drone but there was no immediate word about where it was launched or landed. Government and industry officials have expressed concern that if a drone — much like a bird — is sucked into an aircraft engine, smashes a cockpit windshield or damages a critical aircraft surface area, it could cause a crash. The Consumer Technology Association has estimated that 2.8 million drones will be sold in the U.S. this year, a 149 percent increase from 2015. Last month, the FAA announced there are now more registered drone operators in the U.S. (325,000) than there are registered manned aircraft (320,000).